Fundus photography captures images of the back of your eye. Using specialized cameras with tiny microscopes embedded inside these cameras, a doctor of optometry can capture detailed pictures of the macula, optic disc, retina and other eye components. Dilation of the pupils further enhances the quality of fundus photographs, allowing light flashes to reach the fundus at the moment an image is taken. Fundus retinal photography is an advanced optometric technology aiding your eye doctor in Brighton in the detection of symptomatic eye and vision disorders and documenting progression of ocular diseases such as glaucoma, age-related macular degeneration (AMD), neoplasms of the cranial nerves and diabetic retinopathy. In addition, fundus photography is often indicated when people suffer a sudden loss of vision, recurring migraines or consistently high diastolic blood pressure. 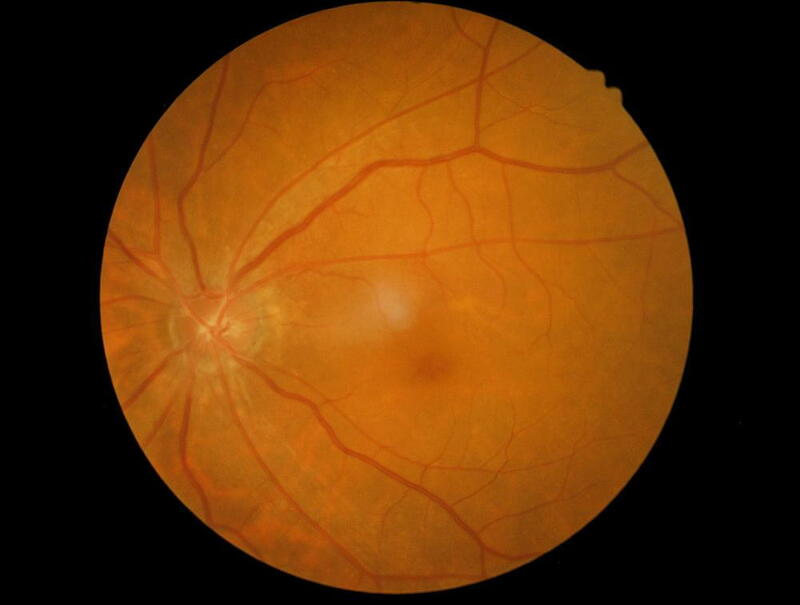 Fundus retinal photography is also useful for detecting undiagnosed cardiovascular disease. Atherosclerosis and hypertension can cause a slight but noticeable difference between the size of your veins and retinal arteries. For example, if your Trenton optometrist spots vein widening or artery thinning, you may be at risk for myocardial infarction or stroke. Hypertension produces fuzzy, white spots on retinal arteries while visible blockages in retinal arteries could indicate systemic vascular disease. How Are Fundus Photographs Taken? Your pupils must be dilated before your eye doctor takes fundus retinal images. Depending on the strength and type of dilating eye drops used, you may experience blurry vision for one or two hours. For this reason, you should consider having someone drive you home from your appointment. The procedure is typically completed within 10 to 15 minutes. Nothing touches your eye while the camera is taking pictures of the back of your eye. If your Belleville optometrist suspects your eye is suffering swelling, circulation or leaking problems, a fluorescein angiography may be used in conjunction with fundus photography to improve image clarity of blood vessel abnormalities associated with wet macular degeneration or diabetic retinopathy. To learn more about fundus retinal photography or to schedule an appointment at Bruce Coward & Associates, call (613) 968-6560 if you live in Bellevue, (613) 392-6211 if you live in Trenton or (613) 475-3900 if you live in Brighton.